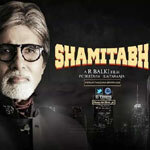 "Shamitabh" is a 2015 hindi film which has Amitabh Bachchan, Dhanush, Akshara Haasan, Mahesh Bhatt, Vandita Shrivastava and Abhishek Bachchan in lead roles. 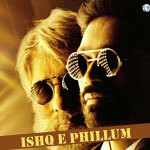 We have 2 songs lyrics and 2 video songs of Shamitabh. Ilayaraja has composed its music. Shruti Haasan and Suraj Jagan have sung these songs while Swanand Kirkire has penned its lyrics.